Ahead of Lady Carolina’s much anticipated launch in August, Paul Wilson has snared pit masters and Peruvian enthusiasts Blair Williams (Piqueos and Bluebonnet BBQ) and former employee Cameron Dening (Circa and Acland St Cantina) to bring flair and excitement to the kitchen, and bolster the 160-seater Latin restaurant and bar. The Lady Carolina indoor menu will allow diners to feast on the dedicated cevicheria, which will explore the depth of Latin cuisine, while highlighting cultural fusions of Peru through Chifa and Nikkei blends. The outdoor bar will showcase creative street foods with vibrant dishes including alpaca burgers with sweet potato slaw and Amarillo and criolla salsas. The team is also introducing new superfood desserts, including the incaberry cacao crunch. Paul Wilson adds: “Incaberries are a powerful superfood packed with protein and antioxidants, offering a healthy dessert with a twist. Serving healthy superfoods is something that is very important to the Lady Carolina ethos; we are bringing healthy ingredients and Australian produce, which is also native to South America, to the forefront of the menu and demonstrating how diverse we can be with authentic foods.” Other new fun desserts include palettes – Mexican ice lollies made with Australian tropical fruits, including Jackfruit mojito flavour. The exciting beverage offering includes an indoor pisco bar and an outdoor rum bar, serving up delicious cocktails on tap. The Carolina Back Bar will be transformed into a major Latin street food destination, bringing the grittiness of South America to East Brunswick. Hailing from New Zealand, Blair moved to Australia to pursue his passion for all things edible. Blair’s love for South American cuisine began at Piqueos, a Peruvian and Argentinian gem where he was head chef. Developing a love for all things meaty and delicious, Blair also went on to open northside favourite Bluebonnet BBQ with a string of pop-ups around Melbourne’s northern suburbs and has recently been head chef at Longhorn Saloon. Cameron Dening, has trained with some of Brisbane’s hardest taskmasters at hatted restaurants Isis Brasserie, Bar Alto and Ortiga. When Cameron headed to Melbourne, he spent time at the two-hatted St Kilda icon, Circa. Cameron’s relationship with Paul Wilson flourished and he furthered his knowledge and love for regional Mexican food at the helm of Acland St Cantina. 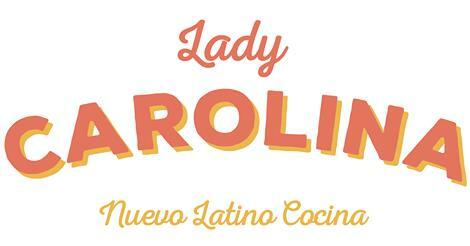 The next step in his food odyssey is to explore even more Latin American food with Lady Carolina.